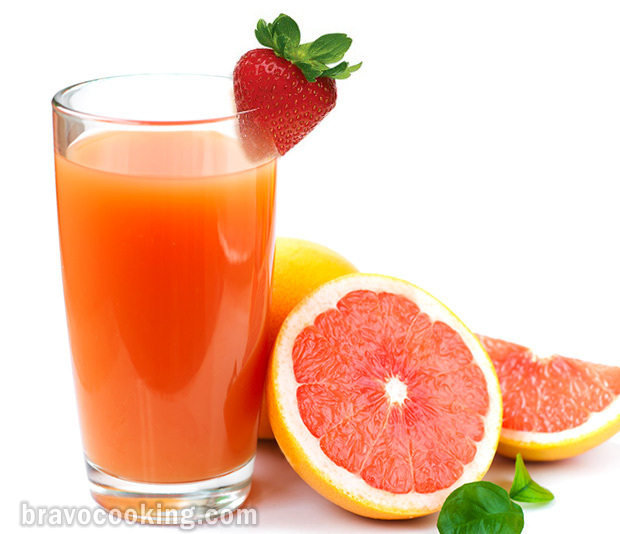 Combine fresh orange juice and fresh grapefruit juice. Add sliced strawberries and pour into 6 tall glasses filled with cracked ice. Enjoy!